We love helping our clients. We also love helping our community. So, helping our clients help our community, well…Say. No. More. When Kraemer North America – our client for the I-25 South Gap project – wanted to spread a little holiday cheer, we jumped into action. Because the construction project is in Douglas County, we reached out to the local Help and Hope Center (formally Douglas/Elbert Task Force) to learn what their clients needed most this time of year. They provided a wish list, and we coordinated a supply drive. With huge hearts (and a dash of competition), the entire project – including employees from the Colorado Department of Transportation, subcontractors, the design team, and consultants – contributed 419 pounds of donations, which were delivered in a Kraemer “sleigh” just in time for the holidays. Learn about the Help and Hope Center on their website. 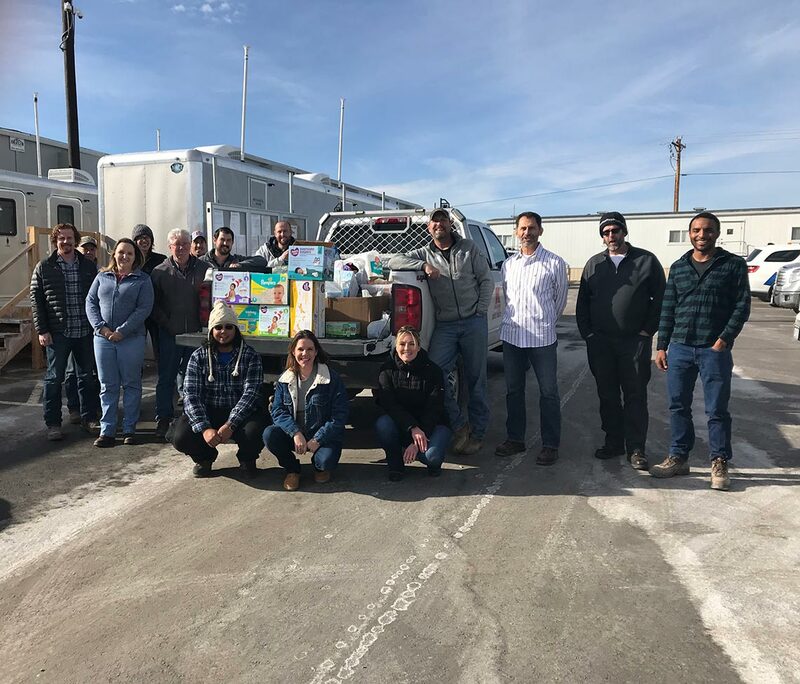 Employees of Kraemer North America and the Colorado Department of Transportation donated more than 400 pounds of supplies to the Help and Hope Center.